I am sitting on the train back to Sheffield coming back from an awesome Symfony Live London event. It was my first time at Symfony Live conference, and at the same time it was first edition of the conference held in London. Conference was organised perfectly, but was else could you expect from people like Lorna Jane and Wes Thompson! Great event guys and very well done! For a person like me, who only started working with Symfony2 a few months ago, it was a mind blowing mine of information about Symfony2, tools that support symfony2 applications like composer and behat and general practises around using the framework itself. 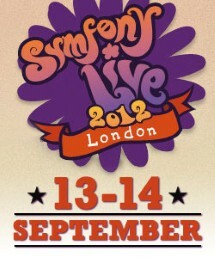 I was pretty impressed by the fact how Drupal8 and Symfony2 work together, and get the famous CRM event better. 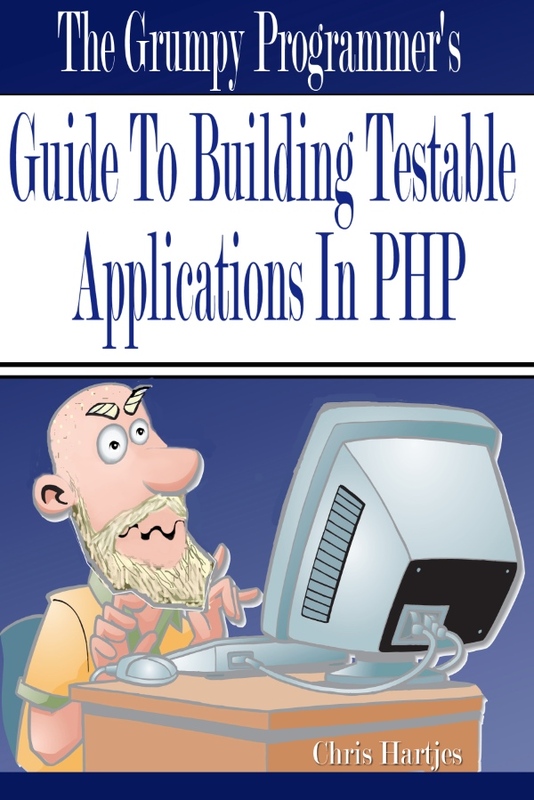 It definitely proves that PHP as the language, environment and surrounding community matures. The talks in fact were only the background of the opportunities that I had today – meeting in person and being able to talk to people like Fabien Potencier (creator of Symfony2), Jordi Boggiano (the man behind composer), Konstantin Kudryashov (the Behat man) and Marcello Duarte (the PHPSpec man). The conference venue was all buzzing – people talking and exchanging experiences. closing keynote – Symfony, What’s Next? Every talk was unique and touched on different subject, but I have to admit Konstantin and Marcello just blown my mind off with they approach to testing with BDD. I still can’t get all the things together and they gave me plenty of things to think about. The next thing I will do will be to replicate what they have done with Behat and PHPSpec2 during their presentation. I do not agree with what they have said about unit testing, and I still believe that unit testing has it’s own place in the development processes, just needs to be used right and for the right purpose. For me the BBD way they have shown us it’s a different approach to testing only complementing xUnit. Anyway have a look at their slides and at Behat and PHPSpec2 if you haven’t yet. PHPSpec2 is still pre,pre,pre,pre,pre,pre,pre,[pre,] alpha, but looks really promising and I can see myself including it in my toolset. Finally, I’d like to thank everybody who attended my talk Effective Code Reviews and asked all the questions afterwards. It’s been a pleasure to be able to meet you all and exchange all the experiences around code review process. Thanks to everybody who left the feedback on joind.in, and if you have seen my talk and not yet gave me the feedback please do so. It’s very important for me to know what did you like and what not, so I can improve it in the future. Enough writing, I am too excited about Behat and PHPSpec2 so I am gonna download it and play with it for another hour, and I hope to meet you all again in a year time at the the next Symfony Live! London Conference! Finally, during the first days of my holiday, I have found a few days to finish this post. Well, Feb this year has been extremely busy. First hot house at work, a brand new idea for me that worked brilliantly, then PHP Unconference Europe in Manchester, and finally PHPUK 2011 in London. And although that was already March, it’s worth adding PHPNW monthly user group meeting in Manchester as well, where I had a talk about PHPUnit, the next one in “Back to basics” series. But lets start from the beggining. Brand new idea for me. We got off site for 3 days from the office to prototype and implement a first version of our end to end continuous integration process. And by end-to-end I mean end-to-end – form project initialisation to the final release integration and automated deployment. It’s been 3 very exhausting days, not the usual 9-5 working day you usually have at work, but it was well worth having it. The idea of it is, you get the gather the whole team – developers, project managers, BAs, QA engineers and everybody else that are crucial for the project, in one room, away from any sort of distraction and plan (and most importantly execute) the whole thing. The 3 days have a specific structure, with the 1st day being sort of introduction and planning, 2nd day being entirely focused on execution and 3rd day, the shorter one, being a wrap-up and summary of the whole event with the main goal of raising post event actions that are meant to be executed in the office afterwards. During this 3 days we achieved something that we couldn’t in the past several months – we have put a concept in place and implemented it proving the the whole thing can work. Now we know that we can automate the process of developing, building and testing single project workstreams and when they are ready put them altogether during a merge into a release, build, deploy and test the whole release. That includes both PHP and Java artifacts, DB changes, internal CMS artifacts and regression selenium packs and functional tests developed and executed during the project. Oh! How I love automation. I was looking forward to it very much. I have never been to an unconference before, and I didn’t quite get the whole idea of an unconference. Well, I knew roughly the idea behind it, just never seen it in action. So, in general I am a bit disappointed. As a completely community driven event it was an enormous success. A load of people turned up, we had a few interesting proposals upfront, then a few more was added during the event. From the organisation point of view it was brilliant. Everything went smoothly, beer was good, food was good, people were great. The bit that needs improving are the talks itself. And I don’t blame anybody for it. In fact if I could blame somebody I would start from myself. The talks that were proposed upfront and were chosen by the community went quite well. The disussion panels – not so much. They weren’t bad, don’t get me wrong. They just simply could be better. But I already know, that next time I will come better prepared. Always learn on mistakes – that’s my motto. Just 5 days after, I attended another big UK event, this time in London. Schedule this year was pretty impressive. I was mainly interested in the two afternoon talks in Auditorium – Sebastian Bergmann’s “Agility and Quality” and Thorsten Rinne’s “Continuous Improvement in PHP Projects”. But before I get to them, let’s rewind and start from the beginning. The conference had started with Marco Tabini’s “Experience” key note. Marco refereshed the idea od user experience with a few funny anecdotes and targeted it specifically at developers. Nothing really new, but we all need to be reminded from time to time, that we should always be focused and don’t forget about end users and their needs. I didn’t hesitate a second and went straight away to Sidetrack 2 to see what ZeroMQ is all about. And I don’t regret my decision. I think it was the best talk of PHPUK 2011. Ian kept me focused all the time and definitely convinced me to try out ZeroMQ. Great talk, with plenty of usage examples and a demo. Well done! I had seen Derick’s talk before and I am not really interested in Amazon EC2, not just yet at least. So I went straight away to see Sebastian’s talk. Sebastian is a well known international speaker, practically an expert in QA for PHP topics. And maybe that’s why I was really disappointed. Sebastian seemed to be nervous at the beggining, although it went better as he went along. Still I was expecting something new. Instead of that, the talk brought up some of the well known “agility practices”, how they fit in during project lifecycle and how some of the tools can help to achieve that. Nice WOW theme made it look interesting, but not interesting enough to keep me focused. And I must say, that was the worst talk I have heard during the conference. It seemed Thorsten either didn’t prepare very well to do this talk or he had real problems expressing himself. Not that I couldn’t understand him, but he was repeating some phrases all over again. Adding to that, some of the things were pretty much the same things Sebastian has talked about just before. The significant amount of time was spent introducing and explaining how to install some CI tools. And then, during Q&A session, he said some things that I strongly disagree with, like advising to implement CI process (and doing unit tests) without telling that to management. In my opinion that is the worst thing that you can do. I really regret I didn’t go to Sidetrack 2 and didn’t see David Zülke’s talk. I am sure it was much much better. Next talk I have chosen was “Optimising a Zend Framework Application” by Rob Allen. It was a difficult choice, as I also wanted to see Stuart Herbert with his “Beyond Frameworks” talk in Sidetrack 1. I wasn’t that interested in Lorenzo Alberton’s “NoSQL Databases: What, When and Why”. All I can say, Rob delivered a good talk again. Learnt a few things about Zend Framework, which will definitely help me in my day to day job. I only heard that the other 2 talks were equally good and interesting! It was a good talk with a bit of humour. Tobias went through some of the design patterns explaining their pros and cons. Nothing really revolutionary, but it is always good to refresh this stuff from time to time. Shame that, at the same time Stuart Herbert and Jeremy Coates where discussing phpfundamentals matters at the lobby. I have left the talk to join them to learn more about that. In general I must say it was a successful event, very well organised. Good food, free beers at the end and the after conference socials at “Slug And Lettuce” only made it better. I will definitely try to attend the next edition in 2012! I try to attend this local community event whenever I can, so I couldn’t miss it this time either. Especially that I was going to to do an introductory talk about PHPUnit. When I have arrived there was only a few people, so we have decided to wait a few more minutes to wait for the late comers. And it appeared to be a good decision as in the next 20 mins or so the room was nearly packed full! I went through some basic features of unit testing based on some live examples. A small accident near the end made me finish the talk without the slides (my MBP battery went out of power), so I had to improvise a bit, but I think, overall, it all went pretty well as we had quite a few questions afterwards and a really nice discussion at the end. You can find the slides from the talk on slideshare.